Since 1995, Dutch photographer Hendrik Kerstens has been photographing his daughter, Paula. 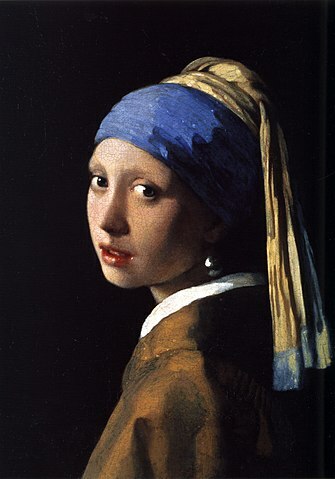 A number of the portraits of Paula are clearly reminiscent of Johannes Vermeer. The austerity of the photograph, its clarity, the serene expression on the young girl’s face, and not least, the characteristic “Dutch” light, all combine to create this impression. But Kersten is not copying the past, rather is he creating a conceptual and humorous dialog between past and present. Silk and pearls are obviously marvelous materials for an artist, but who knew plastic could be turned into something so pleasing to the eye? Previous Post Is it really true that there is nothing new to be said about Venice? Oh yes! I remember loving this photo and blogging it when I saw that year’s Portrait Competition exhibition.